We can provide planned maintenance or service contracts to suit all makes and models of pallet trucks and materials handling equipment. Our fully equipped mobile workshops and highly trained engineers can provide a nationwide service to suit all customers’ requirements, regardless of location. We can offer single or multi-site service contracts and planned maintenance on all makes and models of pallet trucks and other materials handling equipment. 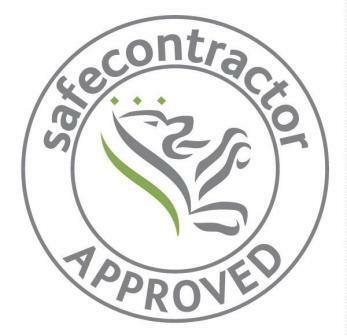 We already provide national service contracts for blue chip companies and many household names and as we are authorised to carry out LOLER and PUWER Thorough Examinations we can ensure that all companies are fully compliant with all current health and safety legislation. All pallet trucks and materials handling equipment should be serviced or inspected annually but more visits could be required depending on application and usage. There is no travelling or callout charges and a no obligation, free equipment survey can be arranged. Our experienced service engineers and fully equipped mobile workshops complete most of the service, maintenance and repairs on the customers site but should major work need to be carried out, we also have 3 regional workshops. 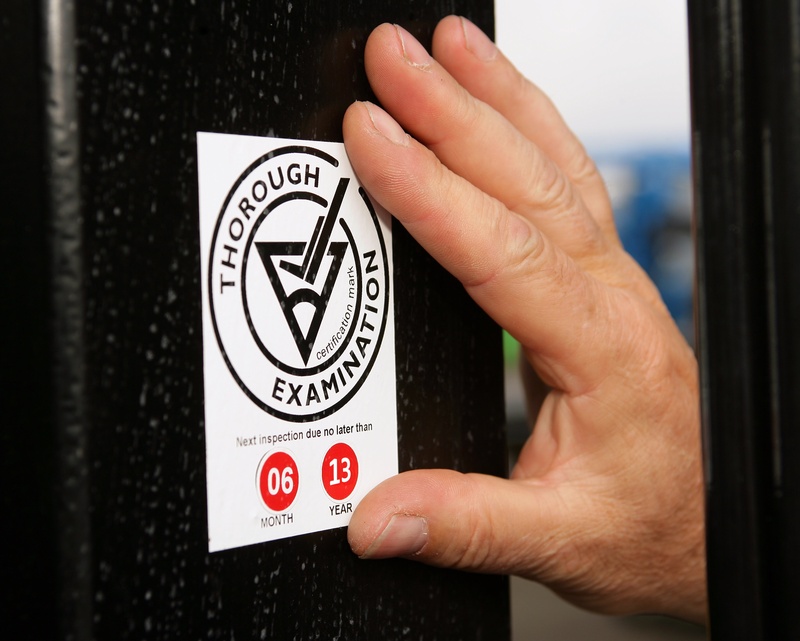 We can provide Thorough Examinations as part of our range of products and services. Everyone in materials handling is aware of LOLER & PUWER but how exactly do these regulations affect you? Are you 100% certain you are complying with the approved code of practice and health and safety legislation? The key points are safety and compliance we can ensure you will meet all of your requirements. What Is LOLER & PUWER? Simply LOLER and PUWER are there to ensure that all lifting and handling equipment must be examined at least once a year. This is not the same as a service which is the actual work undertaken. A Thorough Examination is more like an MOT on your equipment. We can provide a Thorough Examination on all types of pallet trucks and other materials handling equipment and an engineers report will be issued on each piece of equipment checked. This is supported by a check list as specified in the approved code of practice. Each piece of equipment is then kitemark labelled with the date of the inspection and the date the next inspection is due. It provides complete peace of mind, knowing all of your equipment is certified and also knowing that your obligation to look after safety and compliance is covered. Under Health & Safety legislation the employer of the operator of lifting equipment (pallet truck, electric pallet truck and fork lift truck) has a duty of care to ensure the equipment is safe. Remember, all handling equipment must be examined at least once a year. 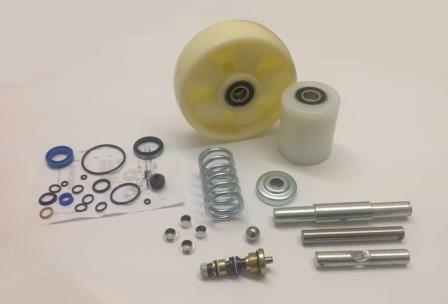 We offers a complete range of spare parts to fit most popular makes and models of pallet trucks, materials handling equipment and associated warehouse equipment. 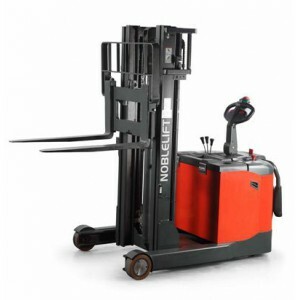 We are the UK distributor for all Nobelift parts and also offer a complete range of drive wheels, load wheels, castors, bearings and seal kits for all makes and models of manual and electric pallet trucks, stackers and associated materials handling equipment. Why buy when you can rent or contract hire pallet trucks and a wide range of materials handling equipment from as little as a week or up to five years. Pallet truck and other materials handling equipment rental and hire is a great way to fix costs, free up cash flow and offset 100% of the rental costs against profits with none of the risks and problems related to ownership. There would be no unexpected maintenance costs or large deposits to find which makes renting pallet trucks or other materials handling equipment an ideal option for any business. 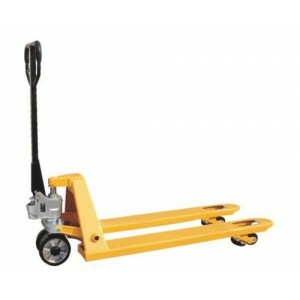 We are one of the leading suppliers of pallet trucks and materials handling equipment. 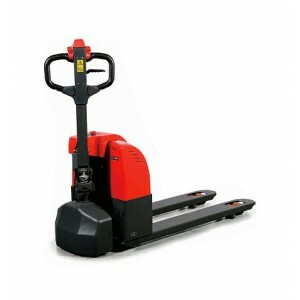 Our extensive product range includes a series of manual and electric pallet trucks, semi electric and fully powered stackers, high lift pallet trucks and lift tables and also ranges of sack trucks, platform trolleys, safety ladders and general warehouse equipment. To buy pallet trucks online check out our on-line shop today or call us on 0845 224 0072 for the best deal on good quality, competitively priced hand pallet trucks including our own fantastic Nobelift range.